In stock ready for immediate shipping.... Hurry last pair! Last pair left in stock! These gorgeous earrings will make you feel absolutely exquisite! 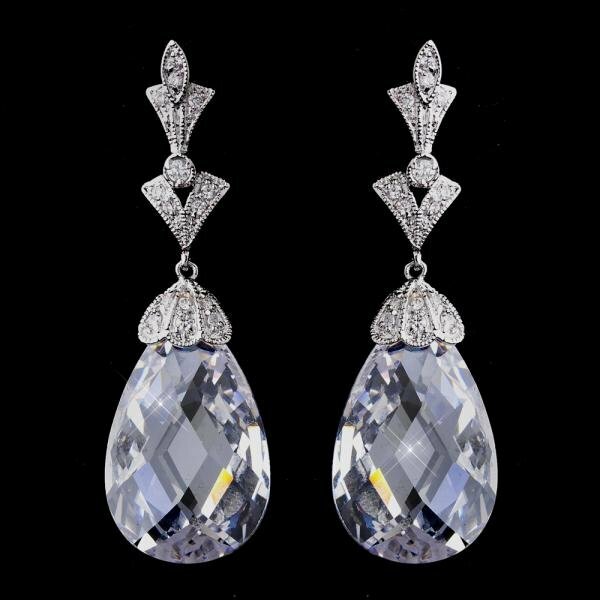 They feature dozens of radiant petite cubic zirconias and a beautiful large, faceted, pear-cut cubic zirconia crystal drop that really glistens in the light. 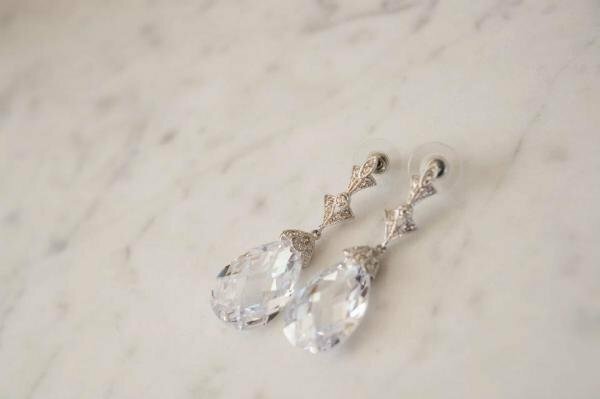 These are a perfect choice for any special occasion in need of some extra sparkle! Size: 5 cm long x 1.25 cm at its widest.